Continuing with the Peter Dunham theme, this weekend’s inspiration is his Starburst print. 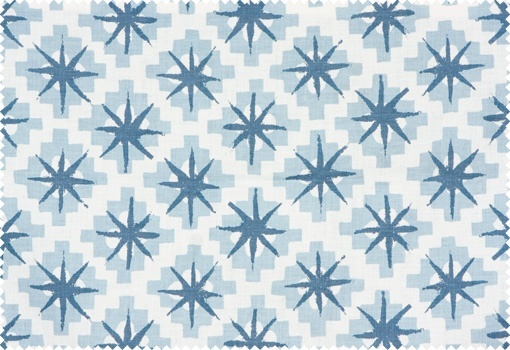 This hand-printed fabric would be perfect in a beach house. Speaking of beach houses, I wish I were going to one this weekend! Very pretty! I think this would also be great on a pillow. Really nice way to add s subtle pop of color and pattern. I agree. It might work as a roman shade in a kitchen too.